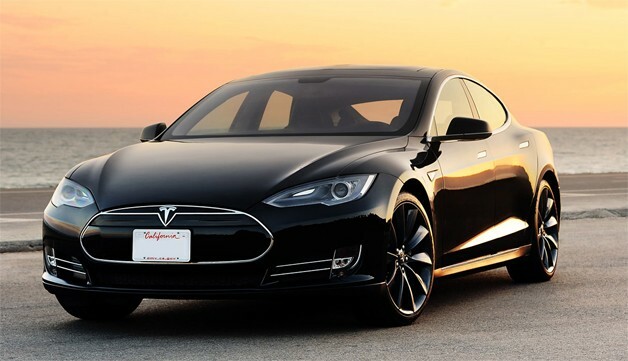 Last year, Consumer Reports ranked the Tesla Model S as the top vehicle of the year, giving it a score of 99 out of 100 (see video review here). That was the highest the magazine had ever given. This week, however, Consumer Reports is pulling back a little bit, claiming that their overall experience with the car has been pretty good, but there have been some nagging defects. “We’ve seen all different types of issues. Probably the most serious is that really large screen that’s in the car, that’s like the giant iPad, it went completely blank on us,” said magazine representative Jake Fisher in an interview with CNBC. This hiccup eliminated almost every function of the car. Adding to the laundry list of problems, Consumer Reports says that there was a creak in the vehicle’s passenger-side A-pillar, which is the beam that holds the windshield and roof in place. There were also problems with the car’s charger adapter, as well as the retractable door handles located on the front trunk (check out the video below). These problems were immediately fixed under Tesla’s warranty. 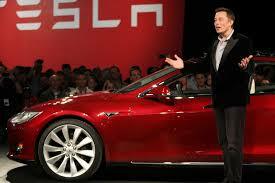 Nobody should be all too surprised by the problems, considering that Tesla is still a relatively new company. After all, age old companies like GM and Toyota have had far worse problems this year, which have led to hundreds of thousands of recalls. Earlier this year, Tesla Chief Executive Officer Elon Musk acknowledged that some of the early production models had reliability issues, saying, “We definitely had some quality issues in the beginning, because we’re just basically figuring out how to make the Model S. And I think we’ve addressed almost all of those,” Musk said. However, if more issues pop-up, the magazine has also stated that they could possibly pull their recommendation from the car. This entry was posted in Culture and tagged cnbc, consumer reports, Elon Musk, jake fisher, tesla, Tesla Model S. Bookmark the permalink.